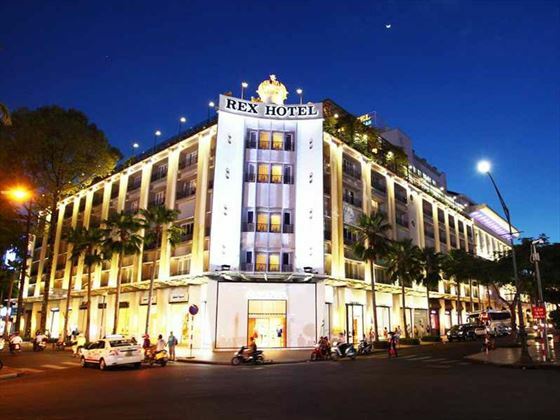 Get ready to experience the high life within one of Ho Chi Minh's most respected hotel properties, the Rex. Boasting an award winning rooftop garden as well as numerous 5-star accolades, this is an extremely stylish chance to sample some of Vietnam's VIP lifestyle with no end of in-room luxuries to help make your stay as comfortable and refined as possible. Aside from the wonderful cocktails at sunset views from the roof, guests are also treated to a succession of alternative facilities with fine dining, pampering pleasures and cultural adventures all to be experienced in some form or another. The Rex is, without doubt, a 'must visit' for any couples and young families wishing to take in the sights of Vietnam's largest city and if you're hoping to truly soak up the heritage of a bygone age then right here is where you take your first step back in time. Superb central city location on Nguyen Hue Boulevard within walking distance of many historic landmarks and high end shopping plazas. 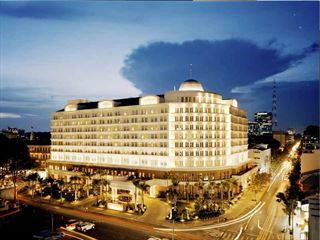 Tan Son Nhat International Airport is under five miles away from the Rex Hotel. Deluxe Rooms – modern and stylish décor with soundproofed windows and either a king-size or queen-size bed. Rex Suites – larger than Deluxe Rooms with same fixtures and fittings as well as a private balcony, floor to ceiling windows and an extra bed if required. Imperial Suites – double the size of Rex Suites with one king-size bed, separate living room, dining area and upgraded amenities including a Jacuzzi, hydro massage bathtub and in-room sauna. 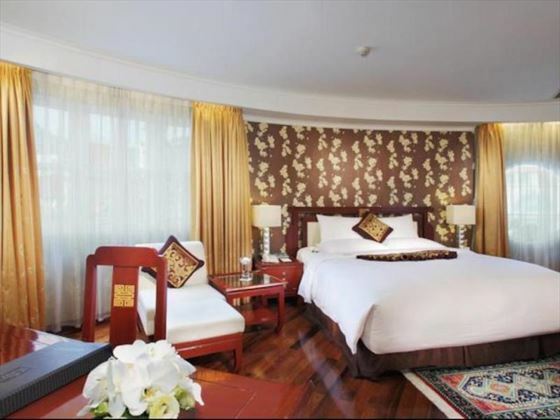 Premium Rooms – same size as Deluxe Rooms with choice of king-size, queen-size or twin beds. Governor Suites – larger than Rex Suites with one king-size bed, separate living room and upgraded amenities. Family Governor Suites – larger than accommodation mentioned above with one king-size master bedroom, second bedroom with two double beds and a separate living area. Executive Premium Suites – same style and arrangement as Premium Rooms with the added bonus of access to the Executive Lounge, which include the following benefits*: private check in and check out service, welcome drink, breakfast, afternoon tea, evening cocktails and all day hot and cold refreshments as well as business and laundry services. Executive Governor Suites – similar fixtures and fittings as Governor Suites with additional access to the Executive Lounge*. 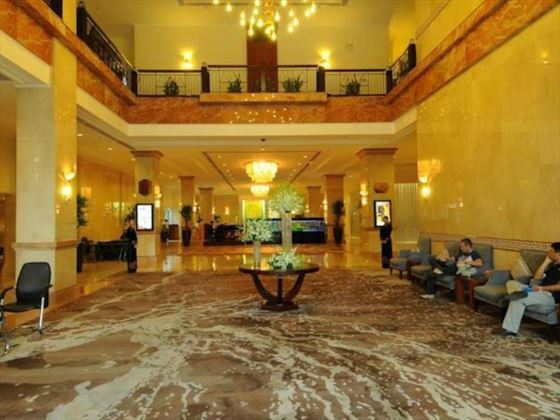 Executive Suites – stylish and modern décor with one king-size bed, comfortable living space and City Hall views. Presidential Suite – the largest of all the hotel's guest suites, featuring: two king-size bedrooms, fully equipped kitchen, large living room, work station with international direct dial telephone, private balcony and superior fixtures and fittings, including a bathroom with hydro massage tub and Jacuzzi bath. Rooftop Garden – award winning bar overlooking the city, perfect for sunset cocktails and late night meals and drinks with good company. Hoa Mai Restaurant – Vietnamese cuisine and international favourites combine with traditional live entertainment for memorable meals. Paradise Coffee Lounge – morning coffee, afternoon tea and the tinkle of a live piano form the basis of this laid back lounge bar. Vertical Garden – cocktails, coffee and Vietnam's largest indoor vertical garden setting. 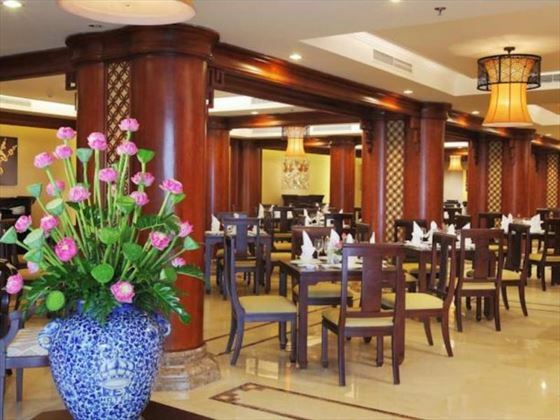 Cung Dinh Restaurant – authentic regional and national cuisine served within a traditional Vietnamese fine dining restaurant. La Cochinchine – luxury spa and fitness centre from where to rest and relax with a full range of spa, massage and beauty therapy treatments. State-of-the-art gym featuring cardio and resistance training equipment alongside personal fitness instructors. 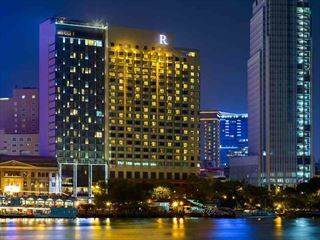 This five star hotel sits at the heart of Saigon, perfect as your home-from-home for a holiday filled with sightseeing and unforgettable experiences. 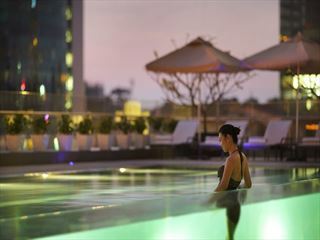 Relax and enjoy the best of Ho Chi Minh City.